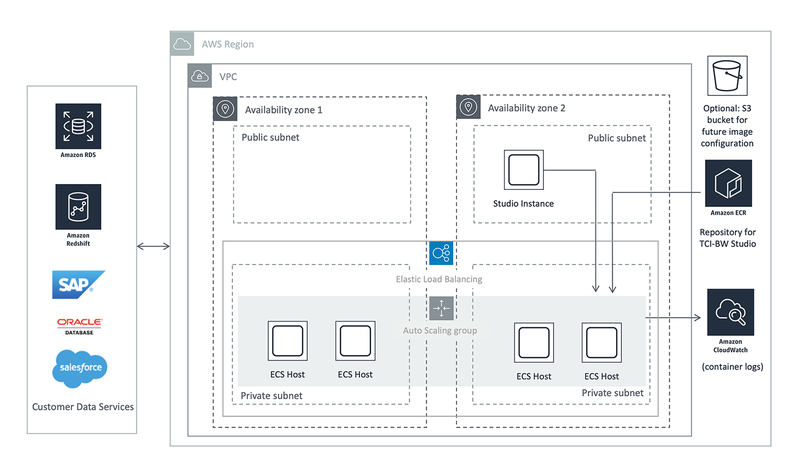 Connect your cloud-native applications to SAP by arranging interactions between APIs or microservices and SAP systems running on AWS. Organizations need to connect newer services like containers, Platform-as-a-Service (PaaS), microservices, and cloud-native architectures with existing SAP systems, such as SAP HANA, so you can fully optimize business processes. Quickly and easily connect SAP systems, applications, and data sources with a modern integration platform so you can migrate to the cloud without losing connection to core applications and systems. TIBCO Cloud Integration Business Works allows you to connect applications to sync your data and automate business processes with SAP. It features an easy-to-use, drag-and-drop graphical development environment. *Hover on the image for a maximized view. With continual pressure to optimize cost, a shrinking portfolio, and a need to transform the business, a large multinational pharmaceutical company needed to migrate to the cloud with a standardized set of integrated practices and solutions. With one global system (SAP) for 10 major markets and 4 pivot countries, this company was able to use TIBCO Cloud Integration platform to create one global integration center of excellence using AWS services to deliver business value to end-to-end services. For our Core Finance program, the new TIBCO technology and associated ecosystem is critical and is enabling integration not only of SAP HANA with many other [of our] systems, but also of key external partners. With successful early go-lives, we expect continued TIBCO collaboration and product evolution to help us reach all program milestones and business outcomes. Cloud workload security solutions allow businesses to discover, monitor, and secure cloud accounts, compute and storage instances, and the control plane.